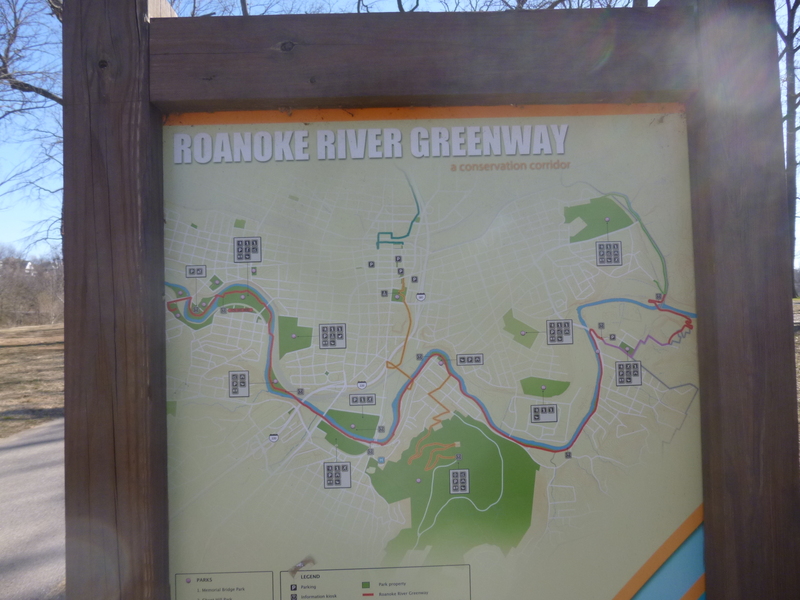 It was another chilly morning, and first I headed for downtown Roanoke, thinking I might walk a little in the historic area, but everything looked gray and cold – the sun wasn’t reaching down into the streets because of the tall buildings, and there was construction by one of the historic areas, so I headed right for the Roanoke River Greenway, figuring that would be warmer and sunnier! And it was! 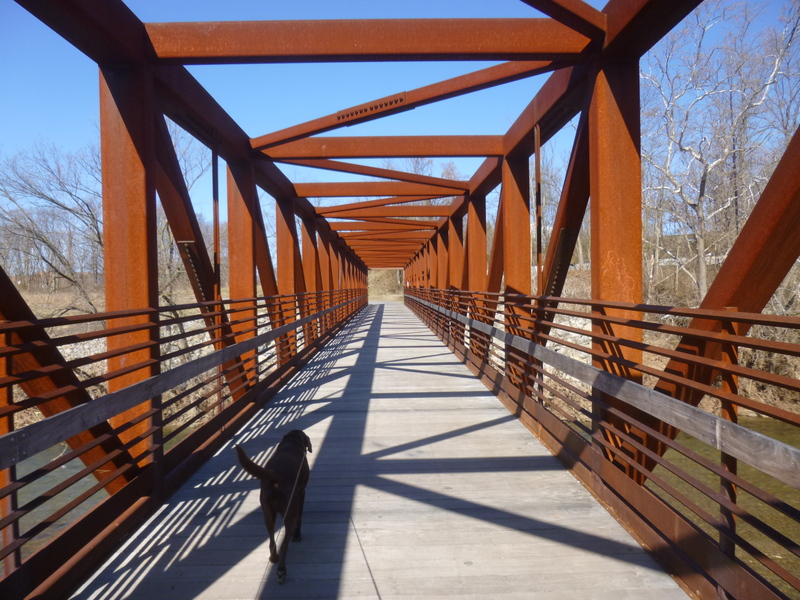 Roanoke has miles of greenways, and Salem has some greenways, and if a 4-mile stretch could be completed between the 2 cities, the networks of trails could be joined together, making it one of the largest urban greenways in the eastern states. 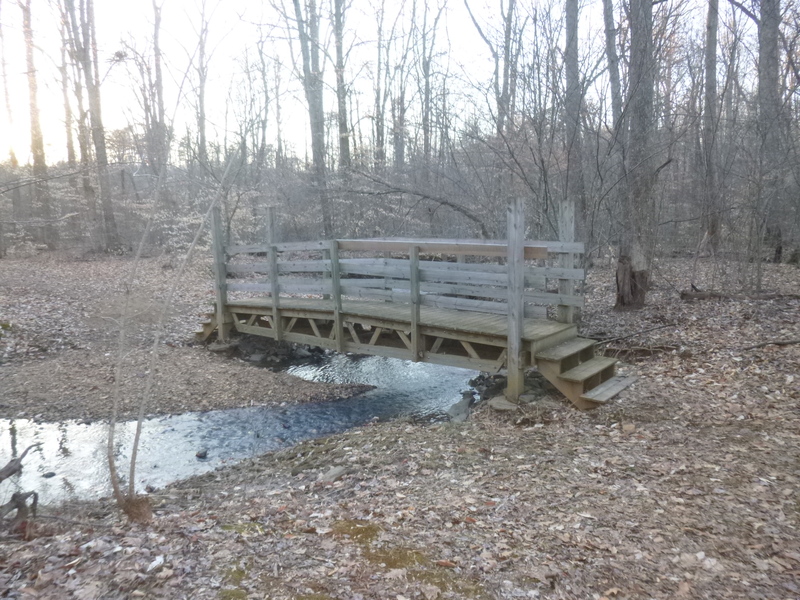 So there’s a fundraising drive going on called “Bridge the Gap,” and when enough money is raised, the 4 miles of trail will be built, connecting the miles of Roanoke trails with Salem’s. Considering I walked miles in both towns, and I’m really enjoying all the greenways I’ve been walking on, today’s donation is a contribution to Bridge the Gap. 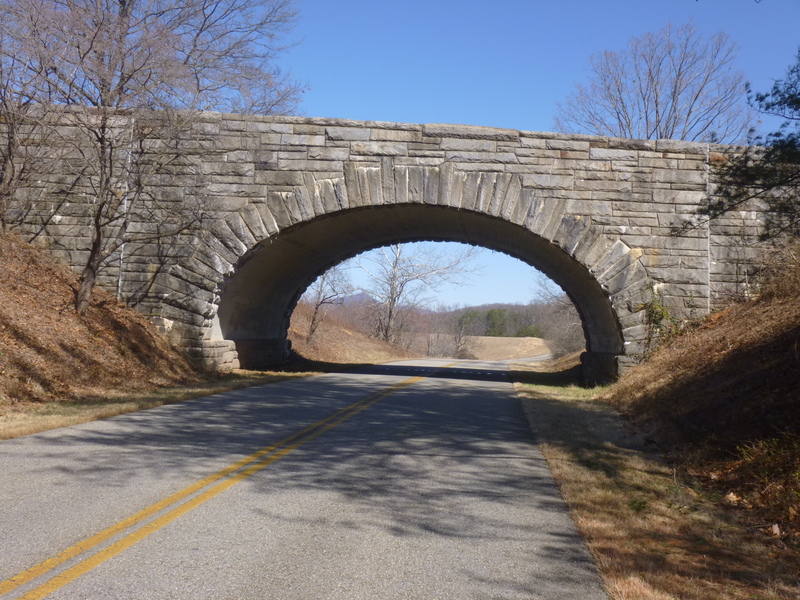 I hope they can get that segment of trail built soon! Tula and I walked 6 miles, and saw several long coal trains passing. The coal cars have open tops and they’re heaped full and had a dusting of snow on top of the coal. We passed a train yard where it appeared that there were some kind of train cars that looked like little apartment cars. 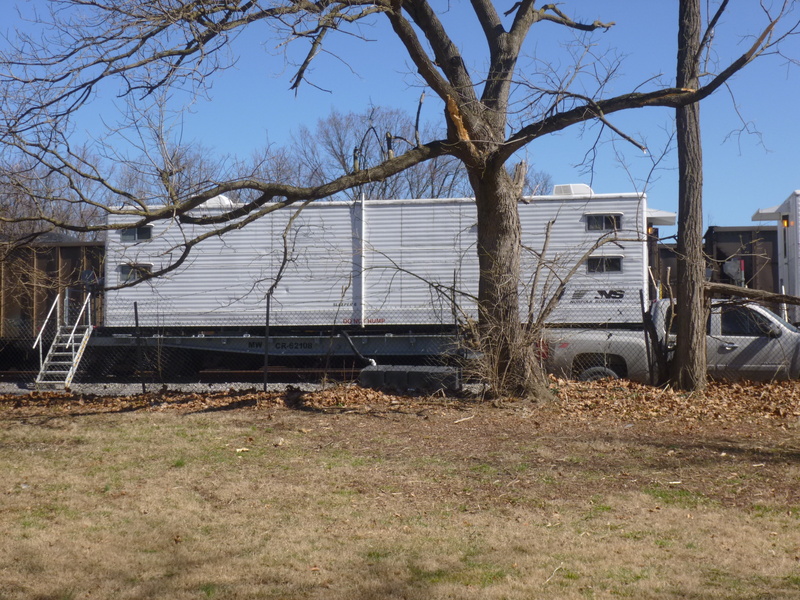 They were on the tracks, but had some pretty sturdy steps into the cars, and vehicles parked out front. 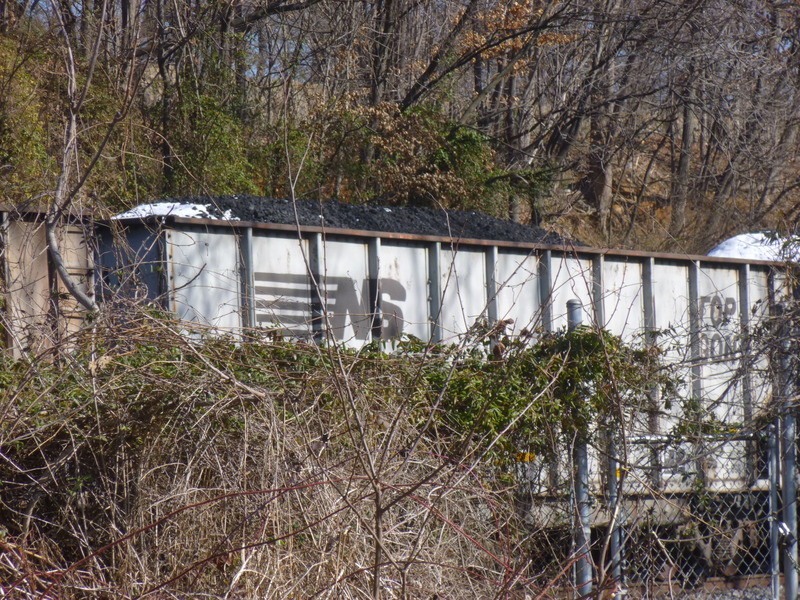 They might be for some of the Norfolk Southern employees – I’ve never seen train cars like that. 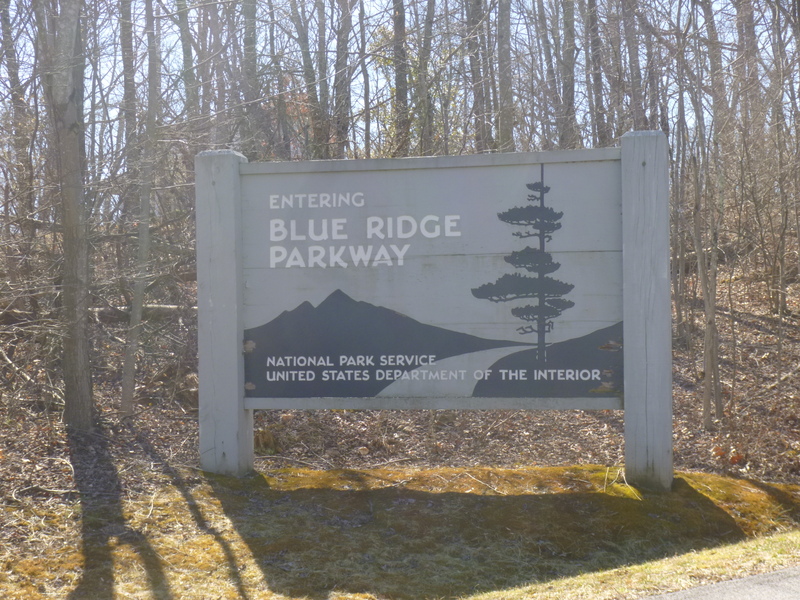 After the long walk, I decided to try getting on the Blue Ridge Parkway again, since I was by another access point. This time I was successful, and settled down to enjoy a pretty drive, with no trucks, advertising, billboards or anything. 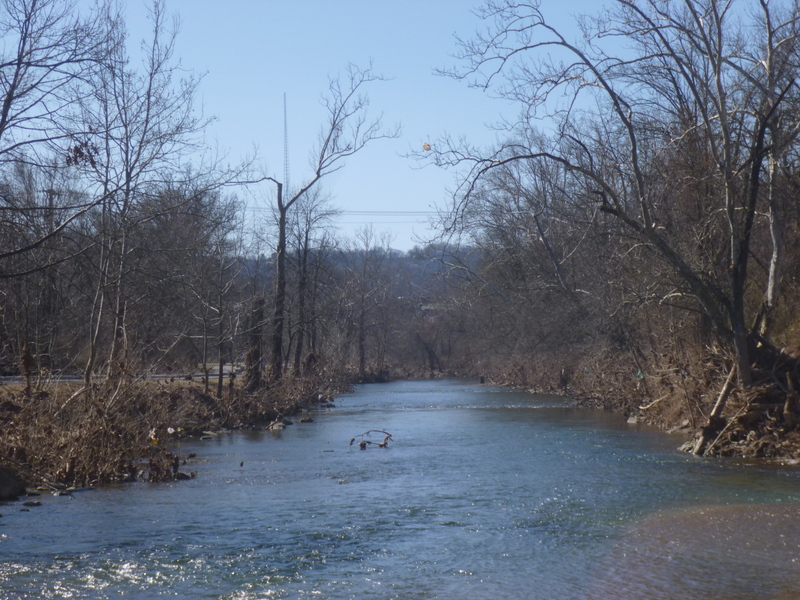 Tula and I stopped at one of the pull-offs for another short walk, and continued on….only to find the parkway closed at the next section. I had only gone a little over 20 miles on it. I’m guessing it’s closed in anticipation of the snowstorm coming in a couple days. So I had to come up with another plan. 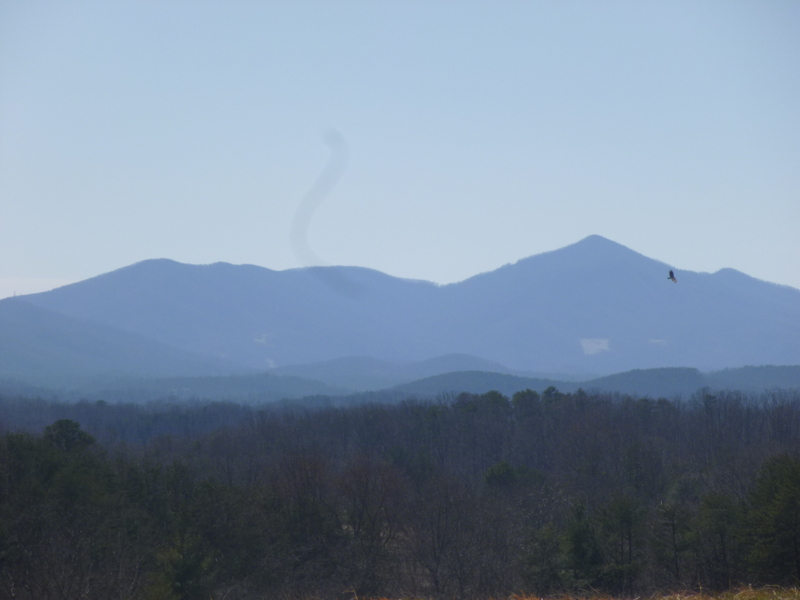 Unless I wanted to backtrack to Roanoke, and there was no reason to, my only choice was to head east. And that put me in line for a national park site, so I was happy to change my route! 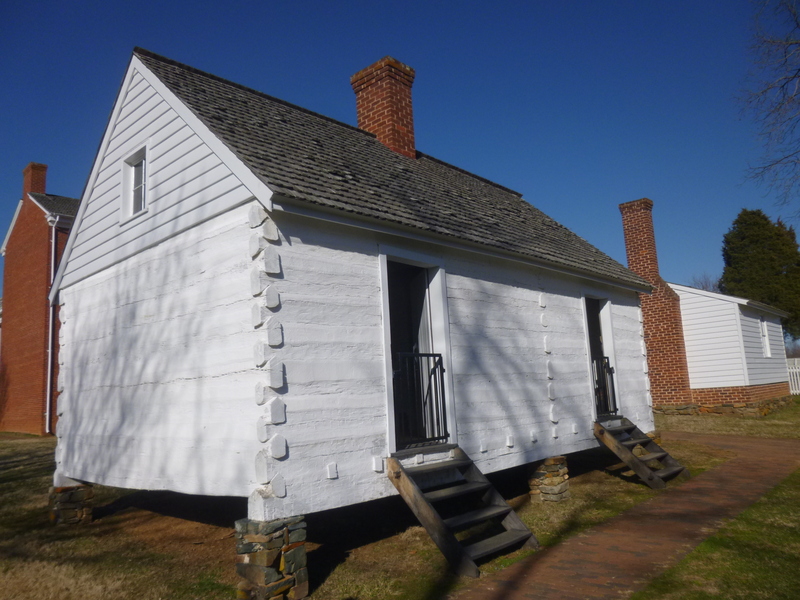 I drove to Appomattox Courthouse National Historic Park – not sure exactly what it was all about. 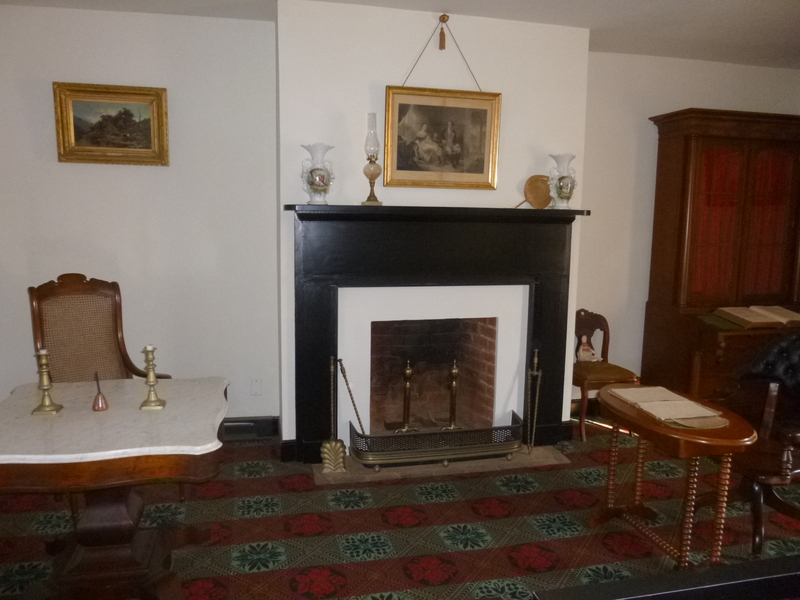 And it ended up being a huge part of Civil War history – the actual house where Generals Grant and Lee met to sign the surrender papers, effectively ending the Civil War. They conducted that business, with a few aides on hand, in the private home of a well-to-do family, which was typical of the times. Nice homes had parlors in them, and they were used as offices when needed. So the papers were signed, and word spread quickly to soldiers on both sides – and at General Grant’s request, his soldiers did not boast or taunt or humiliate their foes – they were allowed an honorable defeat. 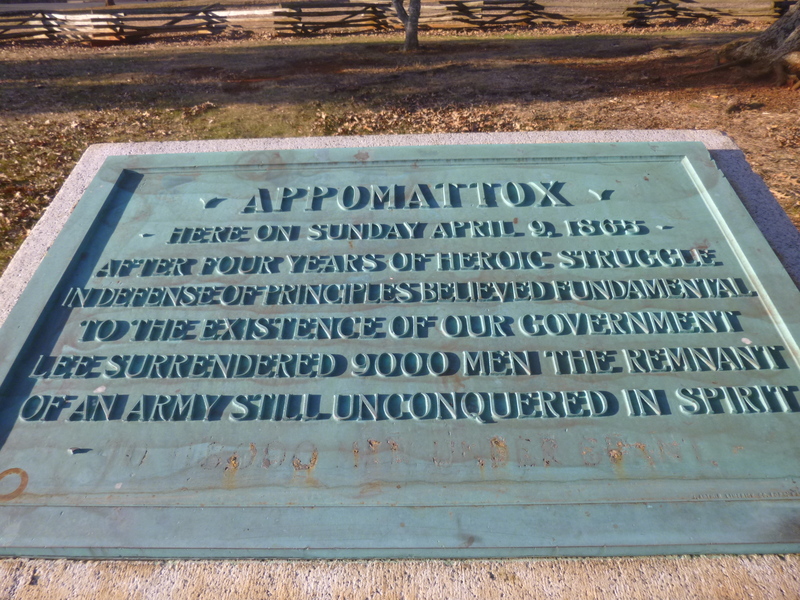 The tiny town of Appomattox (about 27 buildings) is still standing much as it was when all this happened, and the buildings are all part of the national historic site. 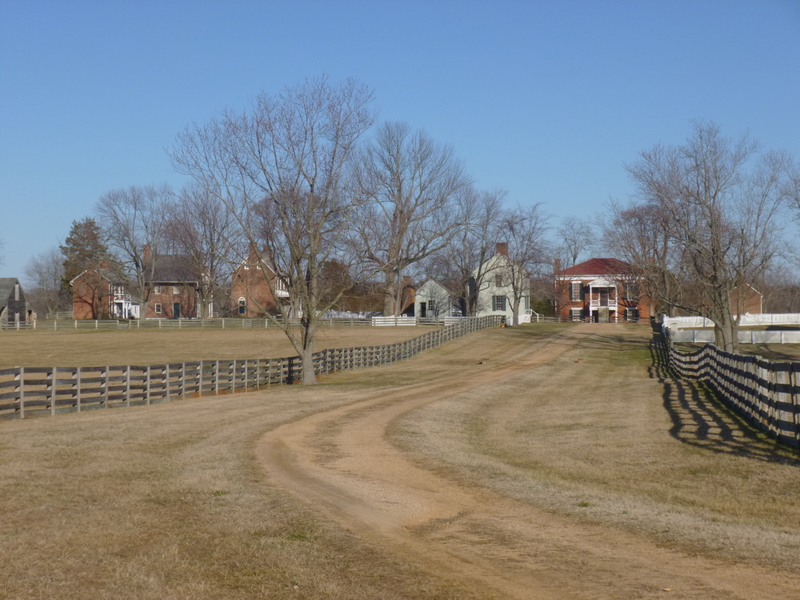 The old road that Lee rode in on to sign the surrender is still there. I still find it amazing to be walking in the footsteps of so much history! 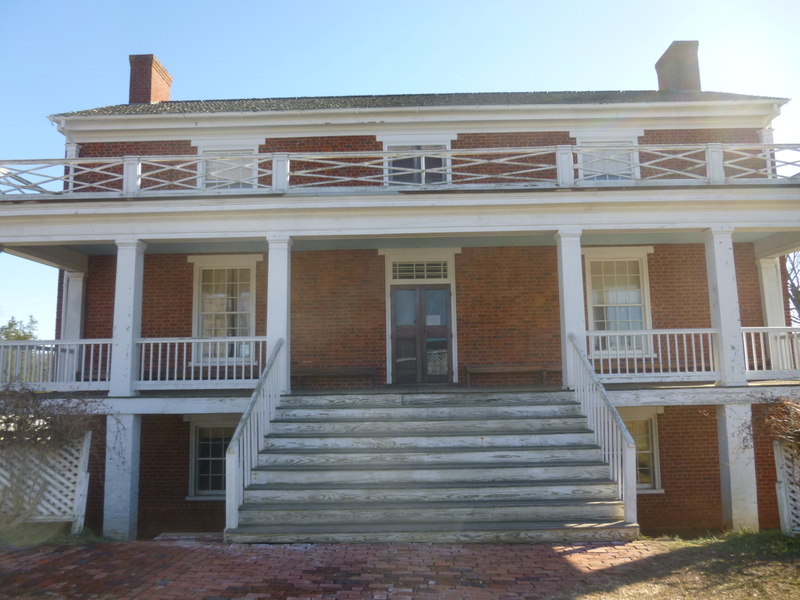 I was lucky to get to the national park when I did because the McLean House (where the surrender papers were signed) is only open a few times during the day on a ranger-led talk. 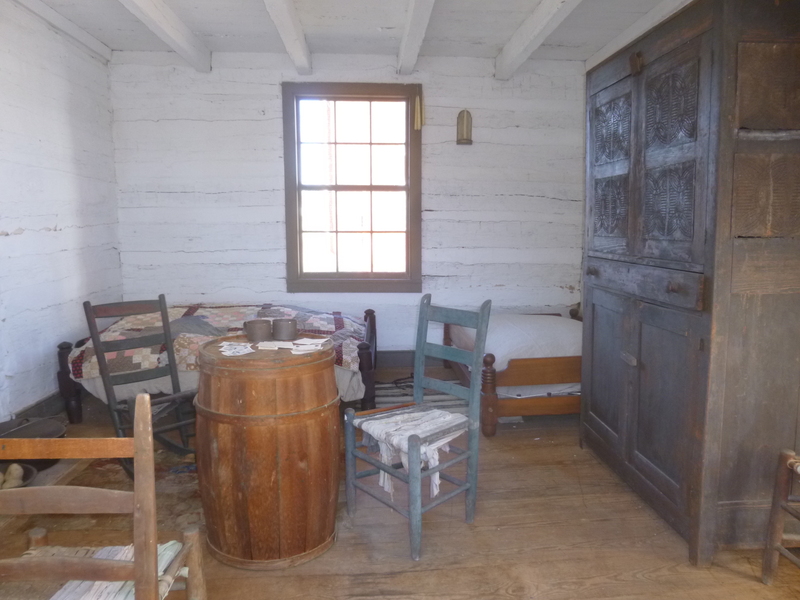 The ranger was full of historical tidbits, and there were other outbuildings to look at, including a couple slave cabins still furnished the way they were when they were being used. There was still some daylight left when the park closed, and one of the rangers told me there were a couple more trails up the road that were still on national park land, so I went up there, and ended up walking more than I thought I would – it was a pretty evening and I was enjoying the surroundings and the history. Then, with darkness falling, I called around to find a place to stay. My intent was to head north for tomorrow, and then get out of the mountains before the snow comes on Wednesday. But I had trouble finding a reasonable place in the north part of the state that was pet-friendly, so I ended up with a reservation in Richmond, and could always head north for the day from there if I wanted. 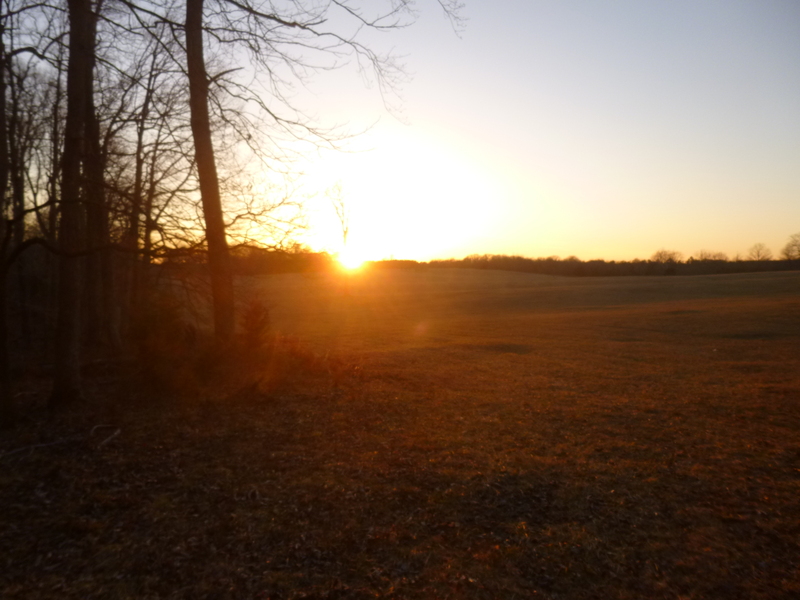 So I had a good hour of driving time, heading east, but after walking almost 11 more miles today, I didn’t mind!